Just wondered how many are using MS3 Pro? What features attracted you to MS3 Pro? Thinking of changing my current SDS EFI system. The SDS system is great for full out race applications, but lacks the refinement for smooth idle and cruise. My goal would be to go full sequential for both fuel and ignition. I was planning on utilizing Honda COPs. I also want to incorporate electronic boost control. I was also thinking of upgrading the injectors to 80 lbs. High Z Injectors. Horsepower goals to the wheels 475 hp. I plan on fully documenting my conversion, in hopes that it will help someone else in the future. If I were to do it again, I'd hands down do Pro. My understanding is, is the input circuitry is far less susceptible to noise than previous gens and the support is second to none. Pro is nicely documented and packed so it makes installing easier. The wires are printed for what they are and I bought the long harness so less connections hopefully. Grounds are the most important thing and I will use a thick gauge wire from starter bolt to common ground bolt/bar under the pass seat. 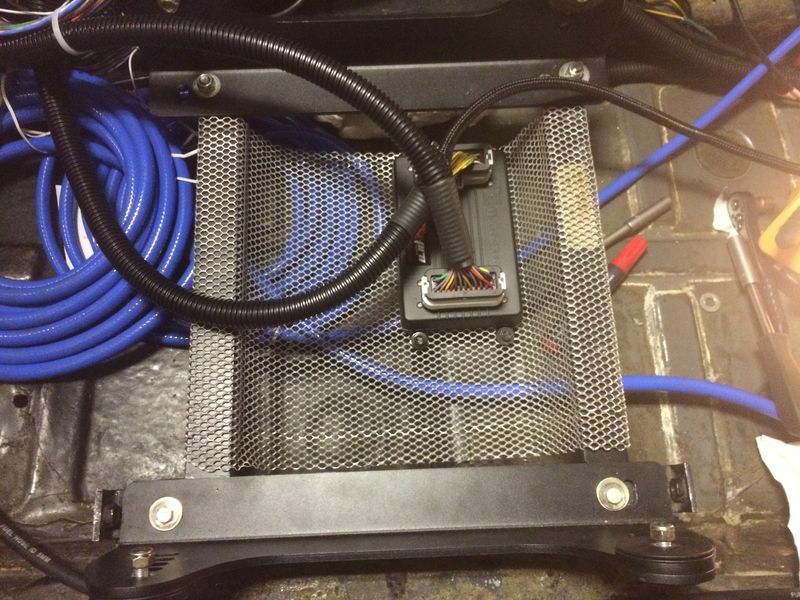 Sensors ground to a named PRO wire. One relay AND separate_12V for PRO and fuel pumps relayed separately with switches on dash. John, I look forward to reading your write up on the conversion, I plan to do the same but probably not this winter, unfortunately. 1975 Carrera / 965 tribute w/ 1989 3.3 turbo 8.5:1, custom Evergreen K27 7200, 964 cams, euro CIS, TEC1 dual plug, rarlyL8 headers & hooligan pipe. 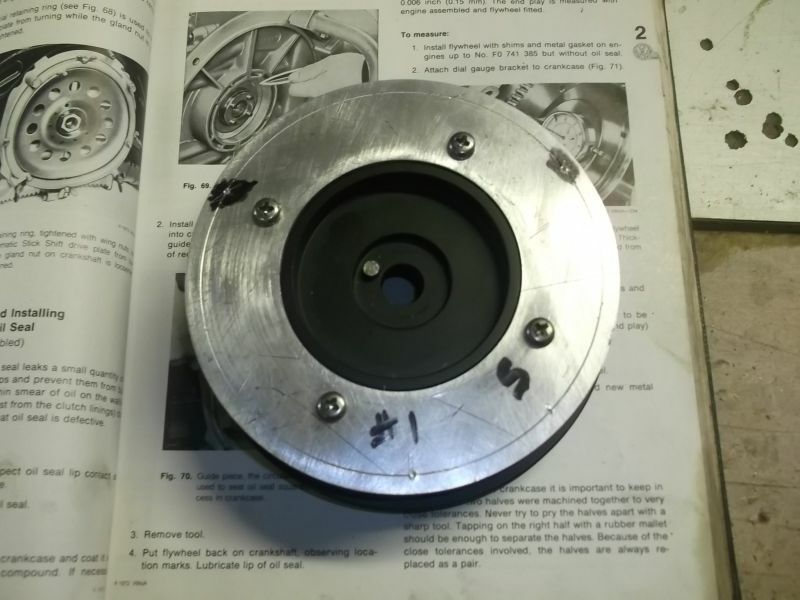 915/68 trans, kevlar clutch and lightweight pressure plate. I am running a microsquirt V3, which is basically the same as MS2, and have been very happy with it. It has quite a few features, but the biggest limiting factor is its spark outputs, and it will only do batch fuel injection with a 6 cylinder, and wasted spark. I even run knock detection, and Flex fuel, and am in the process of doing boost control also. I have had an issue with a hesitation around 2800RPM, and i think it may be ground related, but have not had a chance to diagnose it. I would love to step up to the MS3 Pro, that way i could run coil on plug, sequential fuel injection. There is one unclear thing in the manual and its the grounding. Some paragraphs say block is best and one says battery negative is best and block ok? I have the exact same hesitation. I know I am not grounding to the battery and think I may have a go at that to see if it makes a difference. Also a local Porsche specialist has said they may help with with the issue and has a few idea's. I'll PM you the info and results as and when. The ms3pro is great. It makes it so easy to wire and set up. My car started up first try after the conversion. Mine is grounded to the block and has been working great. BTW, if anybody is thinking about buying one let me know as I have an account with them and can get you a better price. Ive sold a few on here already. Last edited by dos531; 11-24-2016 at 09:47 AM.. I know of a professional installer/tuner and EMS trainer/instructor who says he cures most installs by moving the grounds from block to battery. This guy has a serious resume, even consulting with OEM's. He's questioned MegaSquirt heavily to change the ground documentation. Smurfbus, I like your location for the Ms3 Pro Unit, think I will do the same. I currently have the SDS unit mounted to rear seat foot board. Has anyone used a bulkhead connector like the one shown on the diyautotune site? I was wondering if the VR Pickup wire would work with this type of connector? Does the VR wire need to be wired directly to MS3 Unit? Is it a shielded wire? Same question for the cam pickup wire? Another question, what seems to be most popular sequential ignition setup, COP or LS Coil Near Plug? If COP what coils are being used? I will have lot's of questions going forward, just want to thank you guys in advance. Last edited by jpilcher; 11-24-2016 at 03:30 PM..
LS2 truck coils (CNP) are the most cracking, but "xbmwguy" does fine with COP. 1. Coils that have actual documentation regarding dwell times - very important!!!!!!!!!!!!!!!! I have a killer deal going on a SDS EFI system. System is for Twin Plug Setup. Includes EM5 Unit c/w Datalog function. 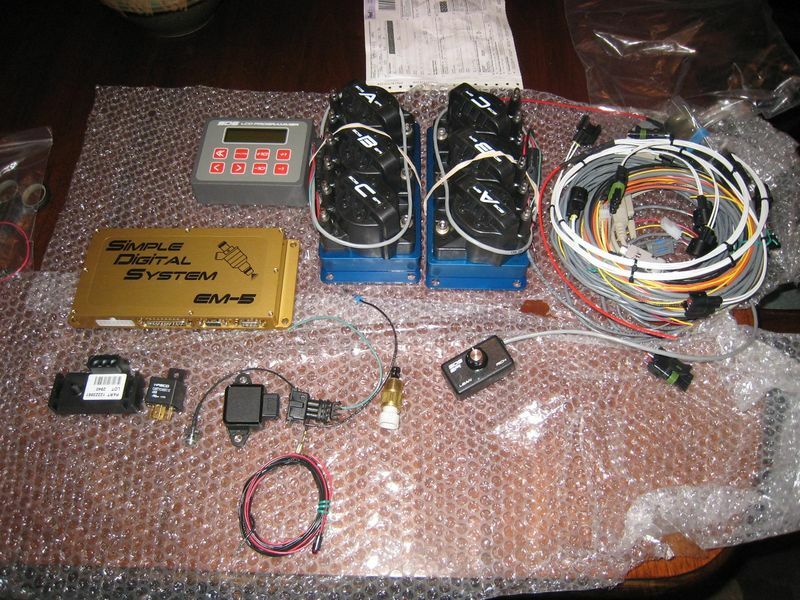 Programmer, 6 DIS coils, 12 wire Clewitt set, Rich/Lean Tuning knob, Crank Sensor, Pulley backing plate c/w reference magnets, complete wiring harness, and manual. System is very easy to tune. Does not include the crank pulley, just the backing plate with the magnets. I could throw in pulley for extra cost. I can also provide 55 lb Hi Z injectors for extra cost. If interested please shoot me a PM. Last edited by jpilcher; 11-24-2016 at 04:15 PM.. Pro has a shielded two wire lead for VR sensor and it its best practise to be wired separately to avoid Starting problems. From my ecu position the wire reached just behind the passenger rearlight housing where I had my VR sensor wire (a cutted connector from my spare audi harness). So I routed the VR line under the rear lid latch to make sure it was far away from any ignition/pump/injector wires. I used chrink tube and alu wire shield over the wires near turbo/exhaust. I drilled a hole in the corner of the passenger back (level with trunk sideline) seat so there were no extra bends in the line to make it reach. Last edited by smurfbus; 11-24-2016 at 09:25 PM..
$11.00 each, comes complete with connector. MS3 Pro has been ordered from Dos531, great price, Thanks Derek. What is a good cam sensor to use for full sequential?